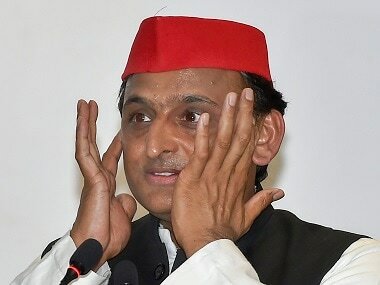 Reacting to Adityanath’s statement, Akhilesh Yadav said: "We have just celebrated Republic Day. 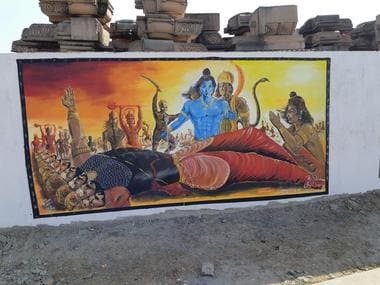 If a chief minister says such things on 26 January, you can imagine what kind of chief minister he must be." 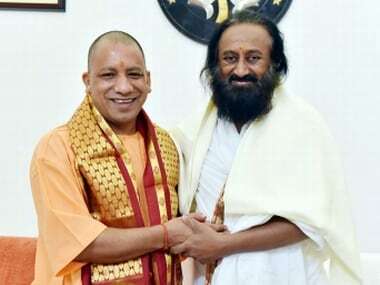 Art of Living founder Sri Sri Ravi Shankar, working to find an amicable solution to the Ram Temple dispute, is being used as a "pawn" by the BJP, an SP leader said. 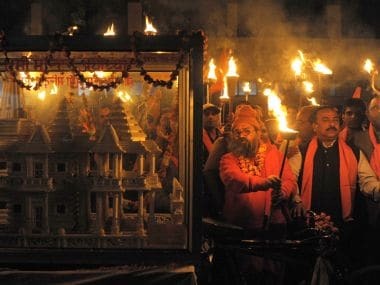 The Akhil Bharat Hindu Mahasabha on Saturday expressed the hope that all obstacles to building a Ram Temple at the disputed site in Ayodhya would "wither away." Opposition Congress, SP and JD-U in Rajya Sabha today raised the issue of stones arriving in Ayodhya from Gujarat and Rajasthan for construction of the Ram Temple, forcing a brief adjournment. 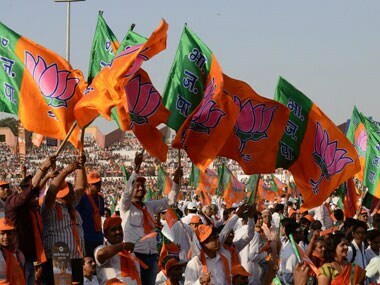 VHP leaders said that the outfit will re-launch the movement for the construction of Ram Temple and request PM Modi to give priority to the issue. 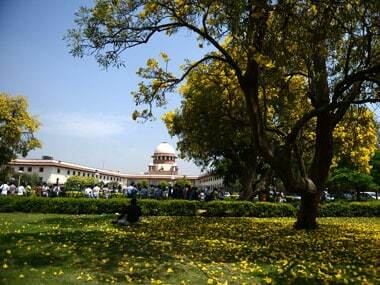 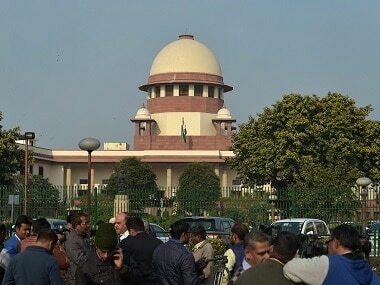 The Supreme Court has given permission for carrying out work relating to replacing old tarpaulin and ropes with new one at the make shift temple at the disputed site in Ayodhya. 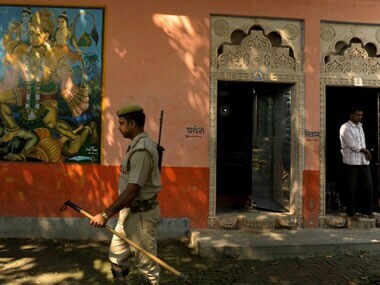 Siddharth Nath Singh, member of Bharatiya Janata Party (BJP) national executive and co-incharge of the party affairs West Bengal, said that the Akhilesh Yadav government has acted "on the basis of vote bank politics".